In part one of this two-part series, I discussed how coaches market themselves to appear qualified and why it's so important to look past the "Humble Brag" and find leadership and mentorship in a coach. In part two, we will uncover the common traits and guiding philosophy of what the best coaches/mentors do to develop talent and maturity in athletes. Coaches spend an enormous amount of time with players and exert a profound influence on how they view the game and the world. This position should be viewed with great care because there is no long-term upside to instilling values which are counter to the beliefs of a player and their family. Equally, it is inauthentic to advocate for values that you as a coach do not hold. It is therefore important for players, parents and coaches to find out about each other to find a common outlook and shared ideals. Tennis is a fiercely independent game that rewards self-reliance in competition and leadership in practice. Great coach-player relationships rely on trust and the sharing of common goals. While it's not impossible to find a productive relationship with someone you don't like, enjoyment is an enormous motivator to success. Find a coach you like. It should be noted that while it's important to expect that a coach treats you special, it's a slippery slope of expectation to make comparison to others and to expect a coach to treat you more special than others. Skills matter, but the pathway to learning, growing and displaying improved skills is through the develop of self-awareness, empathy, respect and the highest regard for learning. As a coach, if you promote the idea that your players’ success is dependent on you and not them, you are satisfying your needs, not the needs of the player. Tennis should further abilities, not dependencies. As a coach, you need to stand for the display of strong character because if you don't stand for something, you stand for nothing. As a player, you need leadership. The best coaches/mentors put the needs of their students first and foremost. Professional coaches coach for a living, but they embrace the idea that the richest rewards for what they do are intrinsic. Find a coach and mentor who loves to develop others to exceed their own abilities. If a student has outgrown you as a coach, perhaps you are limited in your abilities or maybe you have simply done your job well. The true test of character is how you treat someone who you have nothing to gain by helping. Coaches love to coach and they teach players to love to play. "Do as I say" is not as powerful as "Do as I do." The best coaches/mentors are role models who embody the very ideals they preach. Shouting in anger about sportsmanship is counterproductive. Educating a student about nutrition, while you sip a Big Gulp, is hypocritical and demonstrating a disrespect and contempt for others, while talking about the need for self-value is disingenuous. Find a coach who will clearly, simply and succinctly explain what they believe, and I suggest if you cannot easily explain this or any concept, it's because you don't understand it. 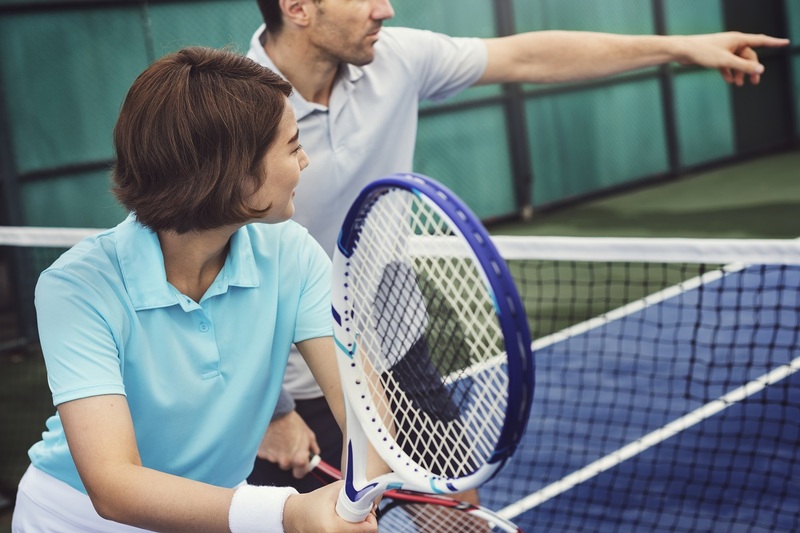 Finding the right coach is one of the foundations of tennis success and one style of coaching does not suit every player’s needs. Find out about a coaches’/mentors’ values and methods and make sure they align with yours for a long and happy relationship. Steve Kaplan is the Owner and Managing Director of Bethpage Park Tennis Center, as well as Director Emeritus of Lacoste Academy for New York City Parks Foundation and Executive Director and Founder of Serve & Return Inc. Steve has coached more than 1,100 nationally-ranked junior players, 16 state high school champions, two NCAA Division 1 Singles Champions, and numerous highly-ranked touring professionals. Many of the students Steve has closely mentored have gone to achieve great success as prominent members of the New York financial community, and in other prestigious professions. In 2017, Steve was awarded the Hy Zausner Lifetime Achievement Award by the USTA. He may be reached by e-mail at StevenJKaplan@aol.com.